Eliana Tahiri was a participant at the European YWCAs study session 2013. 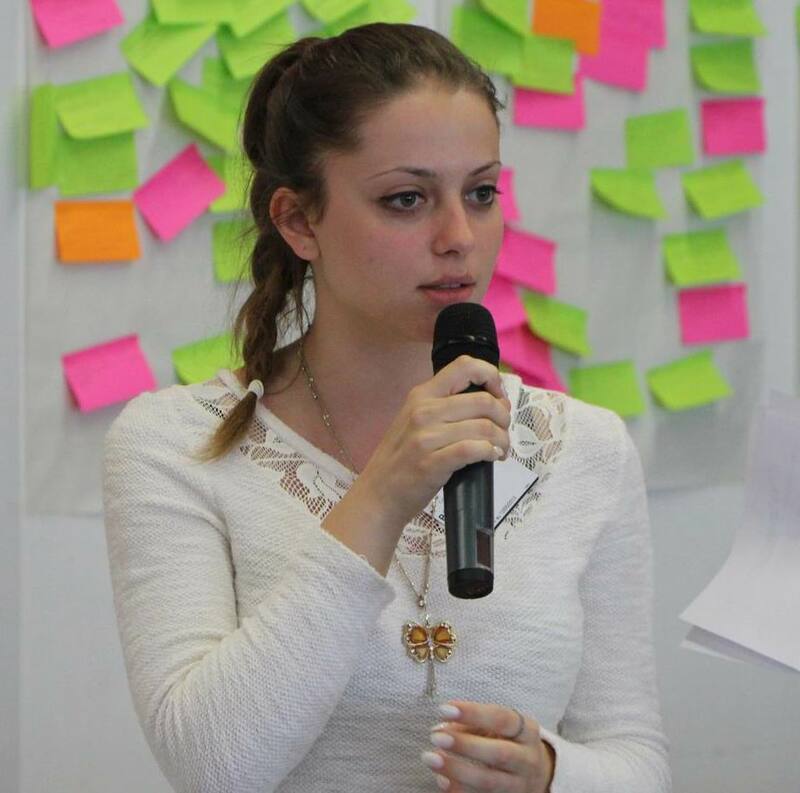 She is an active volunteer at the YWCA of Albania and shares her spirit to make a difference. You know that feeling you get on a lazy Sunday afternoon when you realize that the weekend is over and a whole tiring week is ahead of you? Well, this time, my Sunday, the 5th of May, 2013 when the European Study Session began, was different, my Sunday was special. It is not every day you have the chance to visit Strasbourg. It is not every day you have the chance to raise your voice and fight for your rights fearlessly and in a free space. It is not every day you have the chance to meet people from all around the world and feel like you are a all so alike. Can you imagine doing all this in ONE week? Through the various sessions, we each had the chance to put all of our thoughts and project plans on actual paper. A project plan is a design for a programme to address a direct or indirect violation of human rights. First we learned the theoretical part and what the Universal Declaration of Human Rights was and how it applied to us. We also learnt what a project is and what a project presentation should look like, as well as training on presentation skills and everything about fundraising. The second part (the best part!) was putting into practice everything we learned during the day, making a project proposal which we could actually develop! We were offered the chance to change something,..ANYTHING concerning us and our countries. We had the chance to make a difference. But do you know the ‘funny’ part was? While trying to choose the main idea of the project, a feeling of excitement, dreaming of making a difference we got suddenly mixed with confusion! How can we choose only one when every day we experience unfairness, cruelty and inequality? So many issues, so many problems, so many target groups, so many homeless people, survivors and victims of abuse and violence, people living with diseases, people living with disabilities and… so little time. The secret is: taking a deep breath and walking in small steps. Each of these small steps creates small changes and these small changes make a big difference. Together, we can make everything happen!